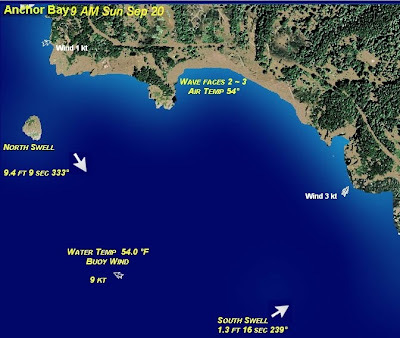 MW Mobile Blog: 9-10 foot swells? really? From the Pacific Waverider site. Just can't pick the right weekends this year. It's forecast to settle down for the low tide this afternoon. Still a shot.